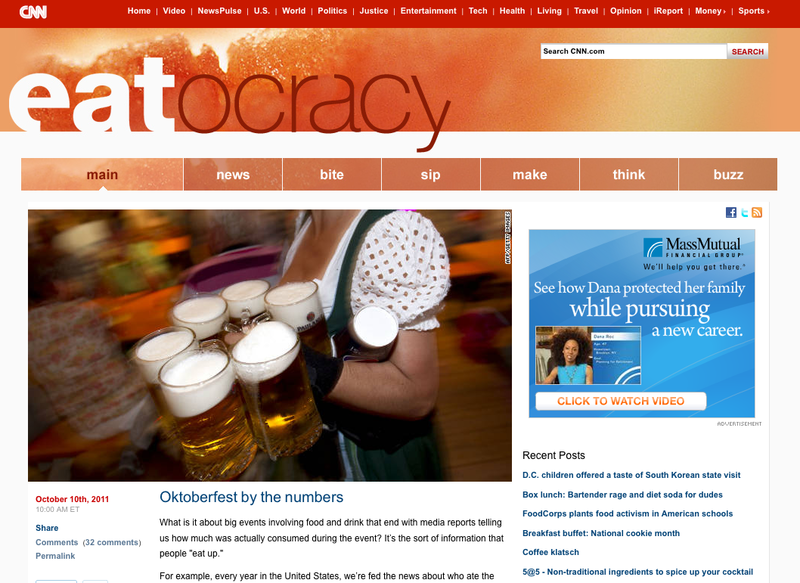 Got another Oktoberfest-related piece published on CNN’s food blog this week (Oct 10, 2011)! I think everyone will enjoy this one.. after all, what’s not to like about Oktoberfest?! I certainly had fun writing it! Full post can be seen here on the web: http://eatocracy.cnn.com/2011/10/10/oktoberfest-by-the-numbers/ – Let me know what you think!